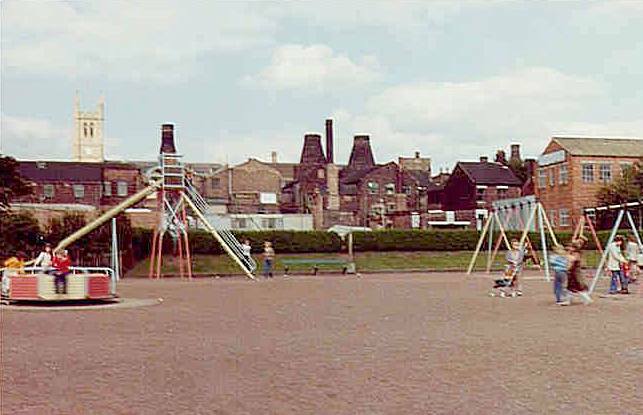 The Last Bottle Oven Firing in The Potteries 1978: Where was it? 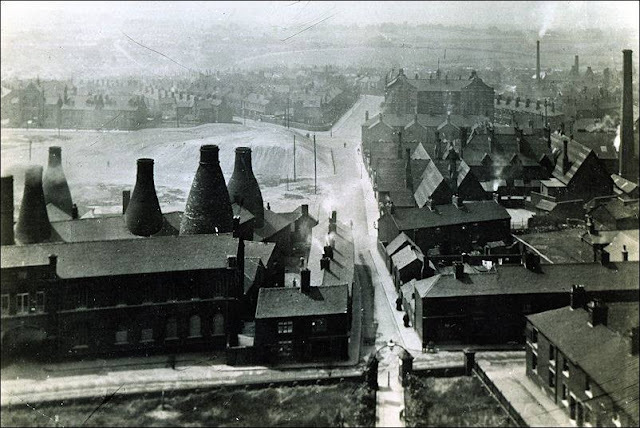 WHERE WAS THE LAST BOTTLE OVEN EVER TO BE FIRED IN THE POTTERIES? Although the firing was organised by Gladstone Pottery Museum none of its own bottle ovens could be used as they were just too fragile. But in June 1976 a suitable oven was identified at the Sutherland Works of Hudson and Middleton (Longton) Ltd., Normacot Road, Longton. The oven was in ‘working condition’. It was last fired in 1963 close to the deadline set by the Clean Air Act. Its owner, George Fairweather, kindly and very generously allowed it to be used for the event. The oven is a Grade 2 Listed Building. At the time of the firing the company produced a leaflet detailing its history. This was handed to visitors to the event. This is the text of the leaflet. A History of Hudson and Middleton (Longton) Ltd.
For over 140 years, [in 1978] pottery has been manufactured at Sutherland Works, Normacot Road, Longton. At one time it consisted of two factories, one making earthenware and one producing bone china, the two separate entrance arches still being evident. Records indicate Skelson and Plant as the first owners, probably starting business around 1834, at about the same time as the firm of Taylor, Middleton and Hudson, who, it is thought, occupied three separate factories in nearby streets. 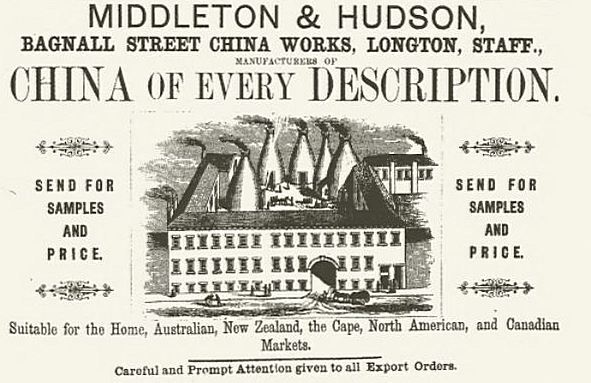 In the 1880s this firm became known as Middleton and Hudson, and records exist of their backstamps for the period. In 1892, Wm. Hudson and & Co. and J. Middleton & Co. came into being and Wm. Hudson & Co. moved into Sutherland Works using Sutherland China and later Royal Sutherland for their backstamps. J. Middleton & Co. occupied premises in Chelson Street nearby and were well known for their Delphine trademark. In the wartime conditions of 1941, the firms came together again as Hudson & Middleton Ltd. and traded through to 1975 with the Barlows and Chapmans, descendants of the original families, prominent in the direction of the company’s affairs. The last bottle oven to be fired is in the centre of the image. In 1975 a new company was formed, Hudson & Middleton (Longton) Ltd. to continue in a more restricted range, lines traditional to the old company. Hudson & Middleton (Longton) Ltd. is in every sense a family business, with four members of the Fairweather family actively involved in its day to day running. Royal Kendal and Delphine trademarks predominate today with exports to Europe and North America of considerable importance to the business. 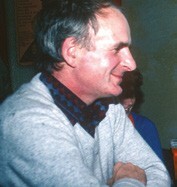 George Fairweather, owner of Sutherland Works, worked closely with the team for a long time and without his cooperation and generosity the firing could not have taken place.